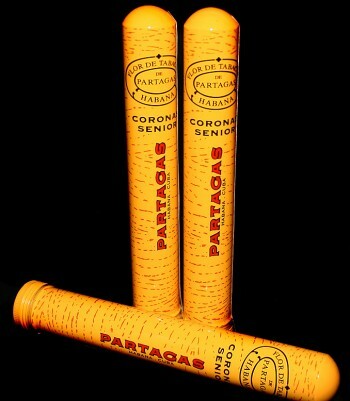 Partagas Corona Senior (Tubo) | Old Morris Tobacconist Victoria BC, Fine Cigars, Humidores and Tobacco Merchantile. Signature Partagas earthy and spicy flavour, with an even burn and medium-bodied tobacco taste. The draw is excellent on this handsomely constructed stick as well––and, it's packaged in a classic eye-catching Partagas tube. You can't go wrong with this outstanding Cuban.